The name Invicta came from a car made by Buick. In Latin, Invicta means invincible. 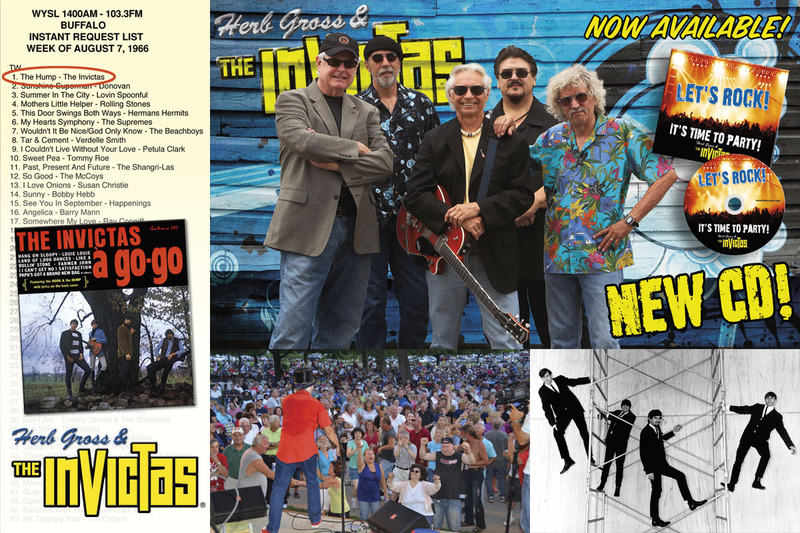 The Invictas rock band started during the 60’s and was reunited in 2005. Three of the four original members are on stage. The band has recorded several singles, an album and numerous CD’s. Every song the band plays is for dancing and having fun. The band has shared the stage with groups like The Beach Boys, The Rascals, Gary Lewis, The Shirelles and been featured on NBC’s Today Show, iHeart Radio and by media across America.